Almost everyone travels, some people travel quite frequently. What can make your vacations or business trips more enjoyable? Traveling smart. The following six travel gadgets and accessories are practical solutions for common traveling dilemmas. They also make great gifts! A set of high-quality earphones is essential for any traveler. Bose products fit most electronics and deliver clear, authentic sound. For maximum comfort, the in-ear headphones come in three sizes of contoured silicone tips that sit in the ear (without entering the ear canal). 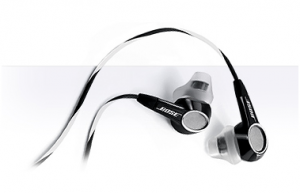 These earbuds are$99.99 on the Bose website. You’ll also find replacement parts and a carrying case. For about four dollars you can undo most of the wrinkles your cramped suitcase has inflicted upon your vacation wardrobe. Simply spray, stretch the fabric, and smooth out the wrinkles. No iron required! 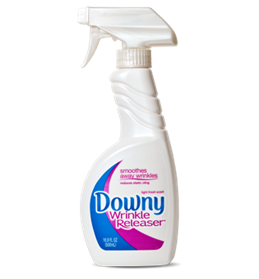 Downy Wrinkle Releaser works on nearly all garments and is available in most supermarkets. Travel documents should be safe, organized, and accessible. Passports now have radio frequency identification chips (RFID) which make it easy for border control to quickly scan your documents. Due to the prevalence of identity theft, it is essential to ensure that thieves cannot read that RFID code. 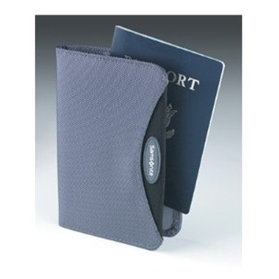 Samsonite’s passport protector is constructed of rugged nylon and lined with RFID blocking aluminum. Its bi-fold cover and mesh windows secure your travel documents whether your cover is open or closed. 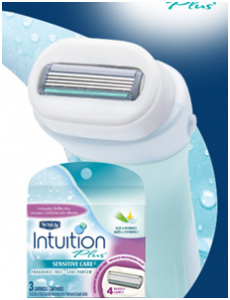 If you’re like me, your sensitive skin doesn’t allow you to shave without shave gel. Likely your overstuffed luggage would also be grateful not to have a large canister of shave gel to add to its busting seams. The Schick Intuition Razor lathers, shaves, and moisturizes so you don’t need shave gel. The razor now comes with four blades for a very close shave. Schick even makes a Sensitive Care variety, for gals like me. Pick yours up for about $7.99 at drugstores nationwide. Travel towels are ideal for backpackers, campers, hikers, and the sports enthusiast. Several quick drying and bacteria resistant varieties are available. This one from Eagle Creek is a fraction of the size of your bath towel at just 19.5×39”, but its microfiber material is ultra absorbent. 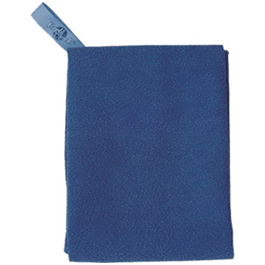 Microfiber is softer than chamois towels, and this towel is sold at a competitive price, $19.95 at Paragon Sports. For only $10-20, these stylish little cases can protect almost anything. These tough polycarbonate cases are crushproof, dust proof, water resistant, and can resist extreme temperatures. Perfect for storing small electronic devices, the cases come in multiple colors or with clear lids to view the contents. The best travel experiences are the ones where you are safe, comfortable, entertained, and presentable. These top picks for travel gadgets and accessories are exactly what you need to ensure your trip is just that. What are your favorite travel companions? What about the classic neck pillow? I couldn’t travel without it! I know how you feel, George. Many seasoned travelers carry a neck pillow and often their full-size bed pillow. These items could be overlooked, not your average items. And a few of them would make great gifts. Even better – put together a gift basket of travel items for a friend who spends a lot of time in the sky.